It was founded in 1946 under the name "People's Theatre". In the last 50 years it held brand events such as the "Golden Stag"
The four seasons combine themselves in the best possible way with the variety of architectural styles from all around the city. So you pass along pre-roman, roman, gothic, classical and renaissance styles all shading with different colors depending on the season. Brasov is the city always asking for a revisit and for the ones more daring is the place where they would move right away. This is caused by the perfectly conserve style combining modern with medieval and residents know how to value the local history. 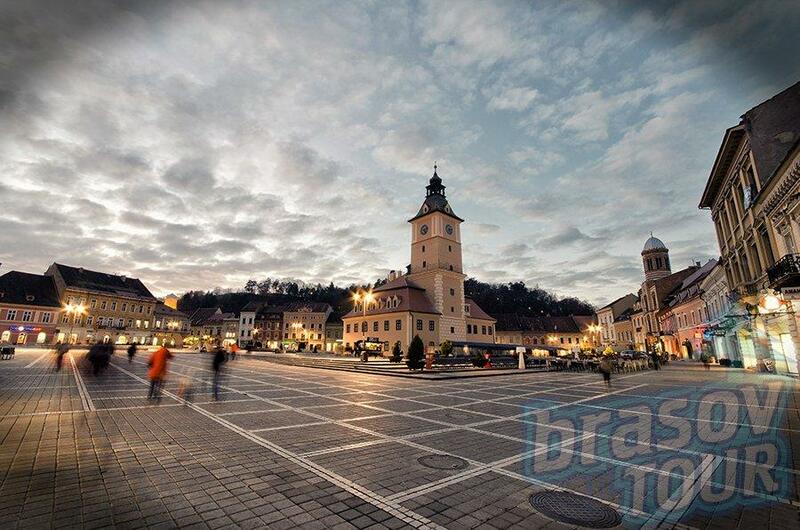 The pride of living in such a city like Brasov is seen in the hospitality and willingness of the residents to share at any moment information about the home city. The old medieval fortress has always the mountains next by guarding and the sun during each season always relax through the sunbeams home people and the travelers impressed by the place. View locations on a map. Now you can customize the map in different locations of your choice. In this way you can generate a map of Brasov just for you. The Evangelic church from Sanpetru was built in the 14th century to protect the villagers against possible invasions or dangers. © 2006 - 2019 by Eyescape Media. All rights reserved .